Flipkart will not be visiting the prestigious IITs and IIMs for campus recruitments this year. The move comes after the company had to postpone the dates of joining of its graduates from premier institutions last year, leading to widespread consternation among the student community. The company, instead, will be focussing on absorbing students it had previously hired, a source told Economic Times. Until last year, Flipkart had been one of the most sought-after firms during recruitment season at premier colleges, and commanded a Day 0 slot. Last year, after offering jobs to hundreds of students, it had delayed their joining dates by over 6 months. An ugly controversy had broken out over the issue, with the students committee of IIM Ahmedabad writing a letter to Flipkart CEO Sachin Bansal which was subsequently leaked to the media. The IITs had also considered banning the company from appearing for future placement drives. Flipkart had later sought do damage control, and had set up the students with internships at startups, and had also offered them an additional joining bonus of Rs. 1.5 lakh. Flipkart’s move to not visit campuses this year for placements is yet another sign of the slowing growth at India’s most valuable startup. 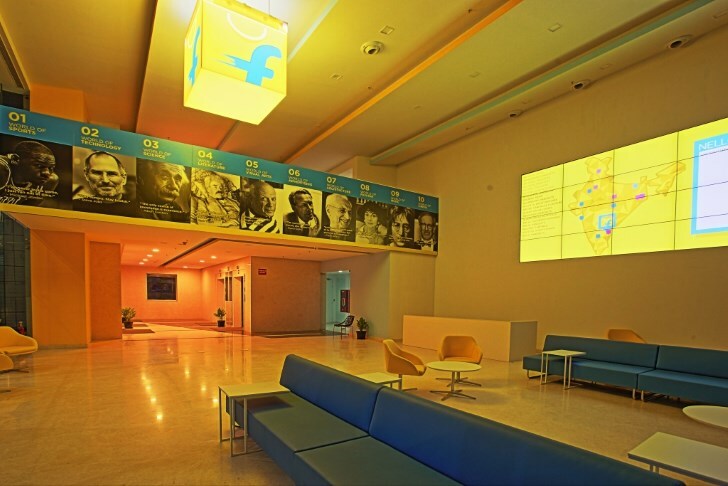 Earlier this year, Flipkart had also fired employees citing performance reasons, and had recently given up 40% of the office space it was supposed to move into next year. The company has also been cutting costs in other ways, and has reduced the budgets for its new office.